Hello! 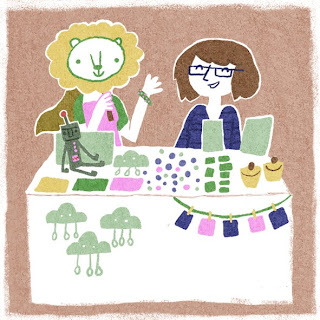 it was my turn to design the poster, its Debbie and me at our last stall talking about her lion story book. We have another stall this saturday (27th) at the Contact Theatre, Oxford Road Manchester between 12-5pm part of the monthy Art Rumble. when am i not talking about that frigging lion book? fantastic poster katie - i will have to pull the stops out for the next one! dx.